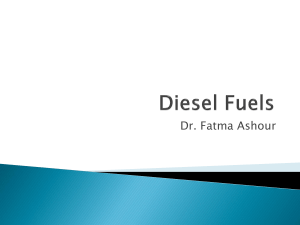 Diesel fuel /ˈdiːzəl/ in general is any liquid fuel used in diesel engines, whose fuel ignition takes place, without spark, as a result of compression of the inlet air mixture and then injection of fuel. (Glow plugs, grid heaters and heater blocks help achieve high temperatures for combustion during engine startup in cold weather.) Diesel engines have found broad use as a result of higher thermodynamic and thus fuel efficiencies. This is particularly noted where diesel engines are run at part-load; as their air supply is not throttled as in a petrol engine, their efficiency still remains high.The most common type of diesel fuel is a specific fractional distillate of petroleum fuel oil, but alternatives that are not derived from petroleum, such as biodiesel, biomass to liquid (BTL) or gas to liquid (GTL) diesel, are increasingly being developed and adopted. 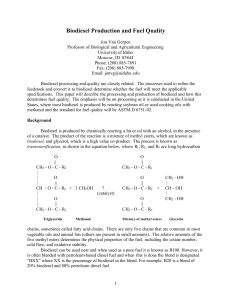 To distinguish these types, petroleum-derived diesel is increasingly called petrodiesel. Ultra-low-sulfur diesel (ULSD) is a standard for defining diesel fuel with substantially lowered sulfur contents. As of 2006, almost all of the petroleum-based diesel fuel available in UK, Europe and North America is of a ULSD type. In the UK, diesel fuel for on-road use is commonly abbreviated DERV, standing for diesel-engined road vehicle, which carries a tax premium over equivalent fuel for non-road use (see Taxation). In Australia diesel fuel is also known as 'distillate'.